From morning to night, the atmosphere at The Local never falters. Whether catering to the morning flow of coffee drinkers, young families enjoying the park or couples out for a quiet breakfast; to the transition of relaxed evenings under a canopy of fairy lights, a bottle of wine or a local beer — there is something for everyone at The Local. Head Chef Stuart Lee is the inspiration behind The Local’s morning to night transitional menu and style, aiming to please every dinner and every palate. “We want people to come here and feel relaxed, no matter if it’s morning or night, with the family or a group of friends,” he said. Open seven days a week, The Local specialises in modern Australian food, with pizza and tapas their nightly go-tos. Live music features on Sunday nights, along with the introduction of a barbecue feast soon to draw in the crowds as the warmer nights set in. The menu at The Local is seasonal, as Stuart allows a little foodie insight to the changes diners can soon experience. 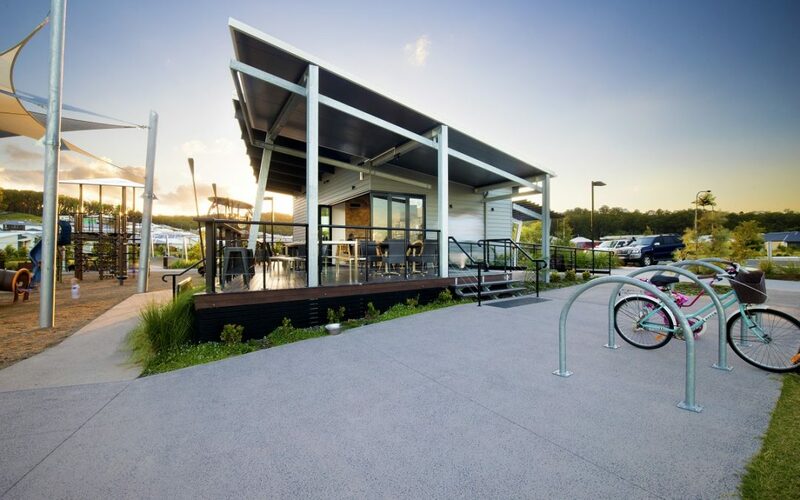 “Lemons are back in season so we are hoping to be able to add some nice freshness to the menu, along with some deliciously fresh seafood from Mooloolaba,” he shared.